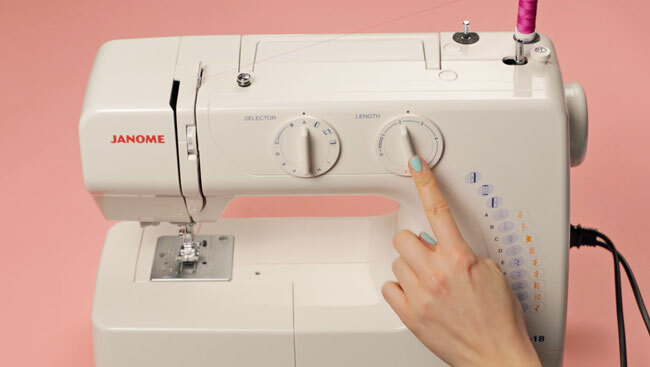 Sewing Tips & Tricks: How to Stitch! Using a sewing machine for the first time can be a little daunting but just relax, take your time and have some fun with it. Practise stitching on some calico (unbleached cotton) or plain medium-weight cotton - basically you want something that’s cheap and not slippery. Pick out some brightly coloured thread that stands out against the fabric so you can monitor your stitches … and marvel at how your accuracy improves with practice! 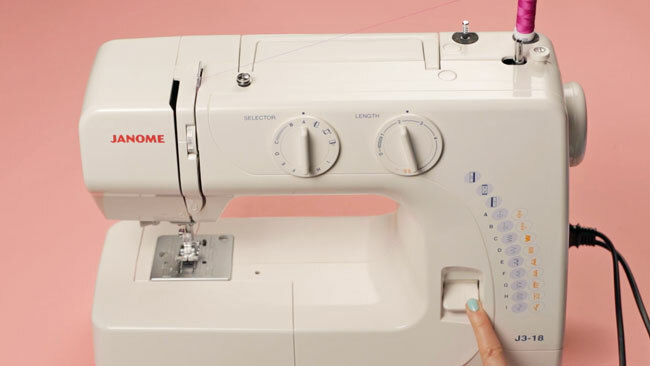 Check your sewing machine is threaded up correctly, then turn it on. Make sure it's set to the straight stitch setting with a stitch length of around 2.4mm or 2.5mm - these should be the default settings. 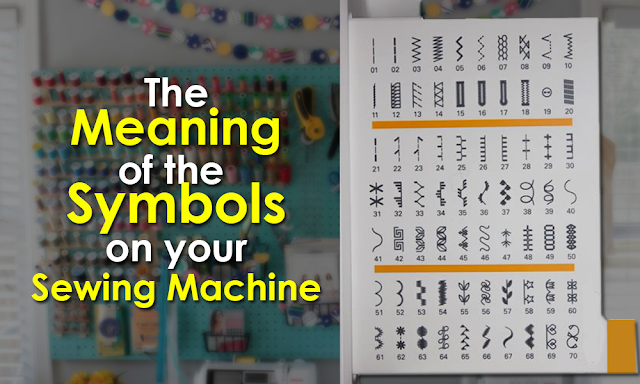 On a mechanical machine, you usually need to turn the knobs to change the setting and stitch length; on a digital model you select the stitch type and length with buttons. Pull out about four inches or so of spare thread under the presser foot and towards the back. 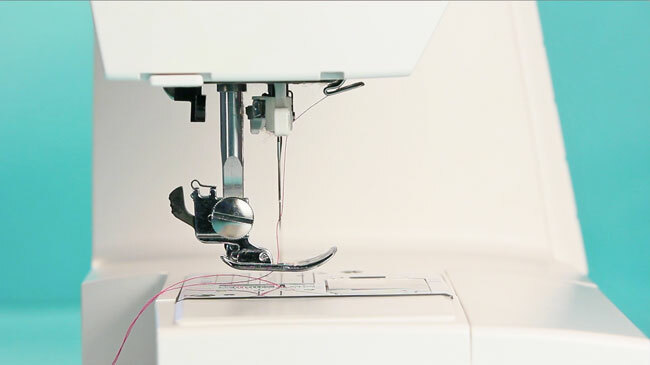 This extra thread will help prevent the machine from unthreading itself when you start sewing. It also helps to start with the needle in the uppermost position, and to hold onto the threads when you make your first stitches. The upper/spool thread should be under the presser foot but on top of the fabric, and the lower/bobbin thread underneath the fabric. 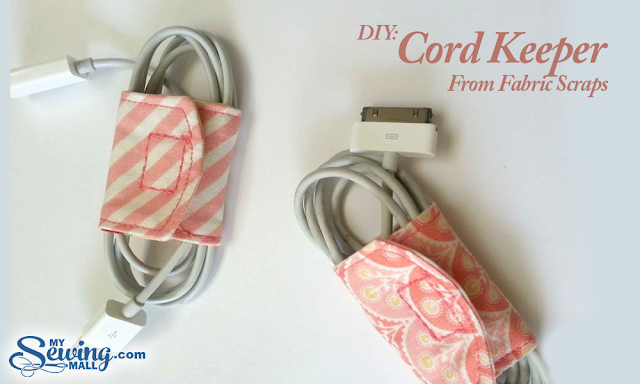 Both threads should be sticking out towards the back so you don’t sew over them and tie them in knots. Before you start any new line of stitching, check that the needle is lifted as high as it can go (turn the handwheel to adjust it). 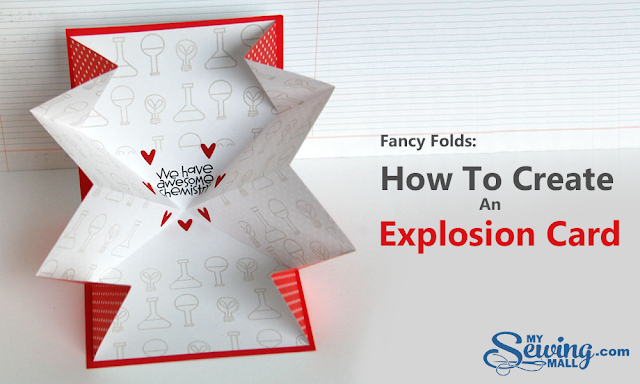 This helps to avoid the frustrations of stuck or unravelling thread. 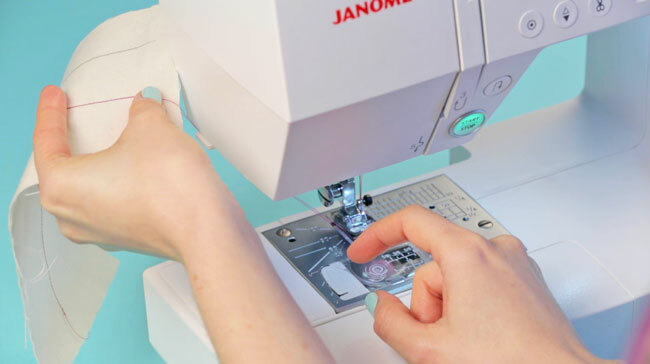 If you want to stitch reeeeeally sloooowwwly – or maybe just move forward by one or two stitches for added precision – you can use the handwheel at the side of your machine. Turn it towards you to basically perform the same function as the pedal but manually. I sometimes use the handwheel to make the first stitch into the fabric to avoid the thread coming loose and to ensure the needle goes exactly where I want it to go. Some machines also have a needle up/down button - usually marked with two arrowheads - which will perform the same function, just quicker. Press it once to move the needle down; press it again to move the needle up - and that's one full stitch. 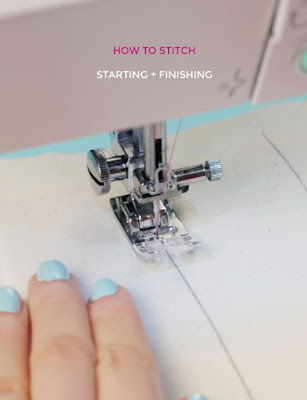 To prevent your stitching from unravelling, you can "back tack" (AKA backstitch or reverse stitch) over the start and end of each line of stitching to secure it in place. 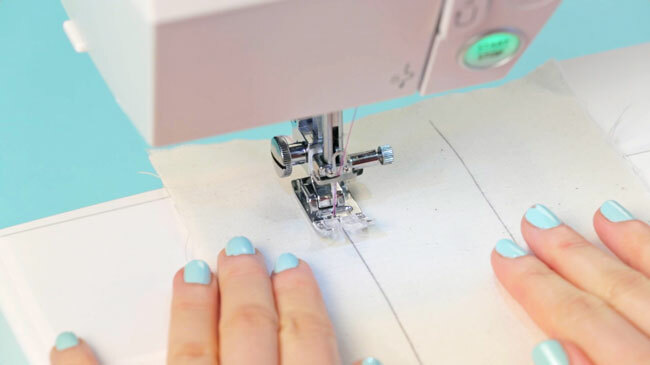 Hold down the reverse stitch lever or button on your sewing machine - often marked by an arrow turning around - and put your foot down on the pedal while still holding the button down to sew one or two stitches over the start or end of your stitching. 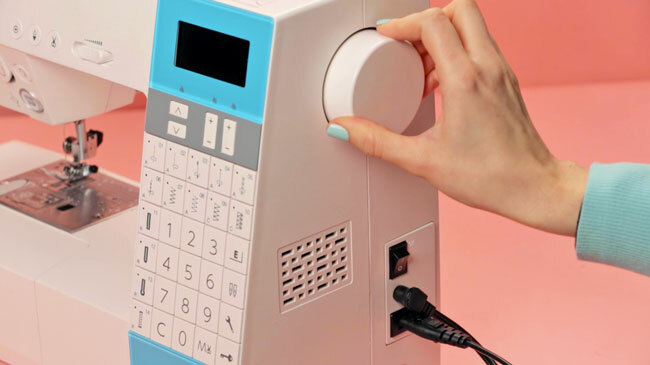 Let go of the button and continue sewing. Once you’ve finished stitching, raise your presser foot so you can pull your fabric out a little. 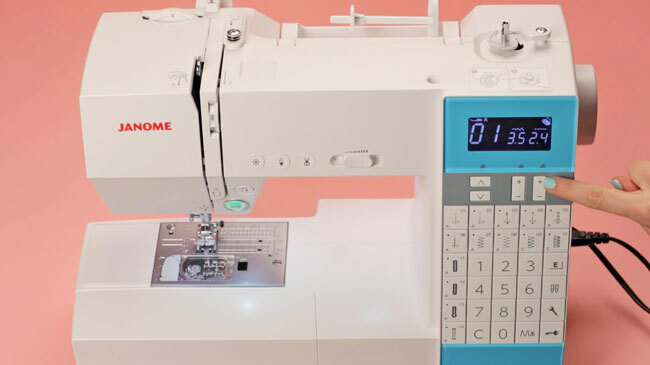 The needle will need to be raised – you can use the hand wheel or needle up/down button to move it up until the thread gives enough for you to move the fabric. You can snip the threads with small scissors (embroidery or nail scissors are fine). Alternatively – and pretty awesomely – your machine probably has a little blade on the left-hand side that you can use to snip the threads in one uber-slick manoeuvre.